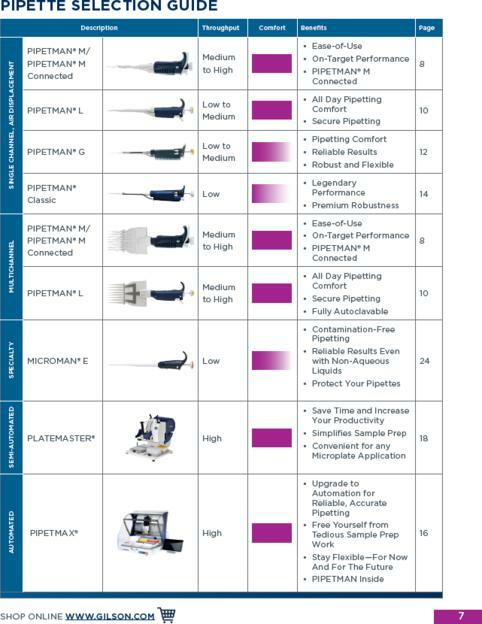 Which pipette is the right one for your application? 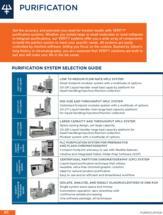 Purification systems - customizable for your needs and application. 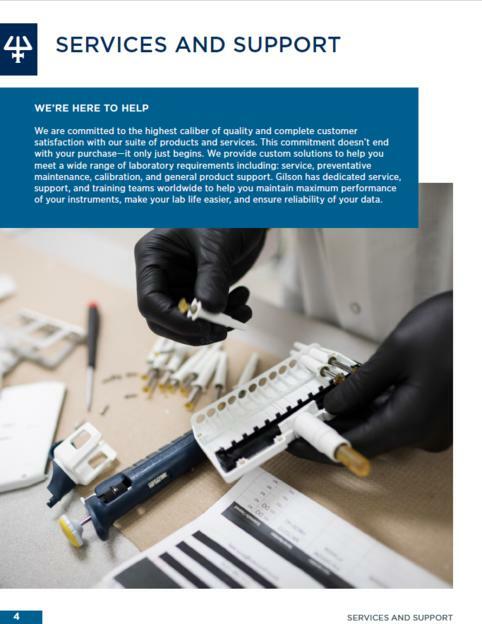 Since 1957 we've been partnering closely with the scientific community to inspire the evolution of our pipettes, instruments, and services. 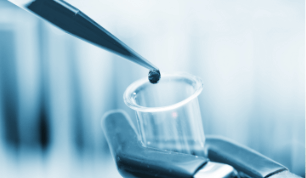 Because reliable equipment in the laboratory is the basis for trust in the reliability and reproducibility of your results. 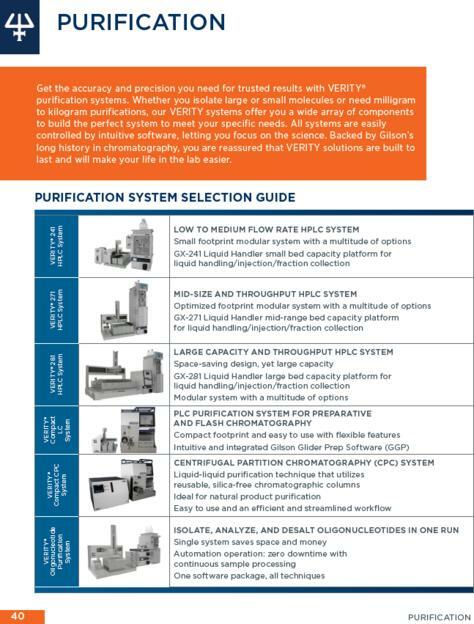 The new 64-page Product Guide contains not only the well-known PIPETMAN pipettes, but also information on liquid handling devices, extraction and purification systems and new additions such as the Benchtop series and the chip-based Verity 1910 mass detector. Liquid handling of manual and electronic pipettes, pipetting of microtiter plates in 96 and 384 format and pipetting robots. 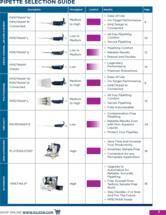 Benchtop series: plate centrifuge, mini incubator, etc. We would also be pleased to send you a printed copy of the catalogue, including the current price list and country-specific information on our pipette and instrument service.